It may be just me, but these days I sometimes feel I am in a universe at a tangent with the real one, the point of divergence being the General Election result. I had, after all, been told by the coordinated ranks of the mass media that the UK was heading towards a hung parliament such that the only outcome was a coalition of some kind. In my heart I felt this not to be true. I believed that David Cameron would make it; there would be a Conservative majority government. My one regret was that I did not put any money on the outcome as the bookmakers were offering good odds. But I naively believed that the bookmakers could not be so wrong. But then the bookmakers were just using the same information as the pollsters, which was the opinion polls. They were not paying any attention to what the parties and their supporters were actually saying to the electorate. Labour preached social hatred. The Conservatives responded to the fear generated by that hate and provided hope for the future. People in the UK – well, England – voted for Conservative government out of fear of Labour’s socialism. It’s not just my view, Professor Vernon Bogdanor said the same thing in his lecture about the election at the Museum of London a few days ago. But then Labour was only acting according to their nature. Socialism preaches hatred. Socialist parties around the world seem to all conform to this type. They favour a certain set of demographic groups to the point of reverence and use that reverence to focus their bigotry on other groups that do not belong to the favoured groups. The National Socialists in Germany revered racially ‘pure’ and militaristic types and despised those that did not conform to their model of citizenry to the point of physical extermination. Soviet Socialism also involved lionising the proletariat and attacking the bourgeoisie as class enemies. Peasants who had a higher degree of affluence, the kulaks, were ruthlessly destroyed. The qualified professionals, who are always needed to keep a modern technological society functioning, were made well aware that they were always under suspicion. Some, like the father of the Soviet space programme or the founder of the design bureau of those bombers Putin now uses to buzz our coastline, were made political prisoners while they did their jobs. In revolutionary China, being a landlord was a death sentence. Life was so intolerable for the middle classes in an East Germany run by the Socialist Unity Party that military fortifications had to be erected to keep the brightest and most talented of the population from fleeing to West Germany after the decade-long exodus of the talented was on the verge of reducing the country to an economic wasteland of the elderly, infirm and very young. The leadership preferred to shoot people dead rather than have them freely vote against socialism with their feet. What all these socialist organisations had in common was that they gave their populations permission to hate without negative consequences. Labour and the left-leaning media in this country have also given people in the UK similar social rights. And people have used this permission to express hatred against Labour’s opponents in a way that goes far beyond reasoned political debate to the point of violence, if not beyond. This validation of bigotry explains the phenomenon of the ‘Shy Tory’, which I have previously written about. Put simply, it is impossible openly to support the principles and values of free-market capitalism, self-reliance and a small state in public debate for fear of a violently bigoted response from a supporter of socialism. Arguing for the privatisation of the NHS is virtually to invite a public stoning. To state that people are responsible for their own lives is heresy, as is suggesting that a nuclear family is the best environment in which a child can grow up. Labour’s social hatred is epitomised by their ongoing campaign against anyone who has had a privileged background from attaining office. Their official campaign in the Crewe and Nantwich by-election of 2009 revolved around chasing the Conservative candidate, Edward Timpson, with men dressed in top hats and tails, while at the same time trying to secure hereditary succession to the seat by the daughter of the deceased incumbent. The party and its supporters wasted no time in using the epithets ‘posh’ and ‘toff’ as terms of abuse against David Cameron and George Osborne. Channel 4, a left-wing state broadcaster, made a series of documentaries that highlighted David Cameron’s and Boris Johnson’s backgrounds in a disparaging fashion, while conveniently ignoring the similarities with Ed Miliband. A film was made last year depicting an Oxford University dining club based on the rowdy antics of the Bullingdon. Had David Cameron not been Tory leader it is unlikely that the 2010 Royal Court play entitled ‘Posh’ on which it was based would have been written. Labour conveniently forgets that its abolition of grammar schools, a consequence of social hatred, means that the path of a high-quality education leading to high office is now blocked for most people in this country, unless they have won the location lottery by being in the right catchment area for an outstanding school. 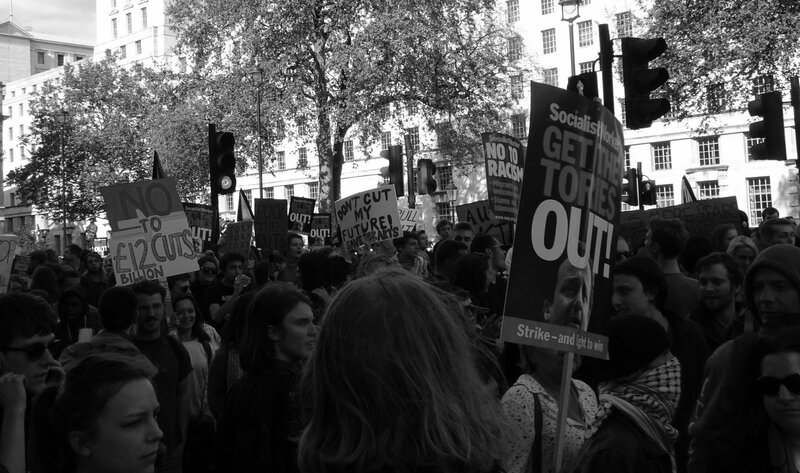 Socialism ensured that Cameron had few state-educated challengers for the top job in his party. Labour tried to win the election using a coalition of people that the party said were members of victim communities and invited hatred against almost anyone else who did not fit the model, especially those that had done well in life. They had nothing positive to say for anyone who wanted to do better by their own endeavours. Their message was aimed squarely at people who had done badly in life or were allegedly oppressed by their identity, who were all promised state support and patronage. The blame for their negative experiences was aimed at anyone but the people themselves. The party’s policies and speeches openly expressed hatred against the so-called ‘top 1%’, against bankers and the owners of expensive houses. These groups were to be punished by targeted confiscatory taxation that would be redistributed to those Labour defined as victims. Labour had nothing to say about people outside of their core supporters. Labour was also apparently going to have a team in Whitehall to determine which private-sector businesses it liked and which it hated, according to Miliband’s ‘predators versus producers’ policy. What Labour was going to do to those businesses it disapproved of is anyone’s guess. But given that an incoming Labour government would be run by a man who was the son of a leading Marxist academic and whose political apprenticeship started with working for Tony Benn, the Labour Party-defined predator businesses would not have had an easy time of it. No doubt the British people would have been given permission to hate these firms as well. Labour probably would have set up a National Wealth Service and required more people than their hated ‘top one per cent’ to register their assets. It is not possible to determine the top percentile by wealth unless you also know where that percentile ends. Once so defined, Labour would have provided more objects of popular hatred and targets of confiscation. Labour’s potential partners in government, the SNP, validated popular hatreds of their own. But then xenophobia is a characteristic of nationalist parties the world over. United in their use of hatred, the party with the second-largest number of seats in the Commons was set to govern with the party with the third by locking the party with the largest number of seats out of power. The English public were faced with the prospect of Ed Miliband opening the door of No. 10 Downing Street to greet Alex Salmond as his deputy. They naturally revolted against this prospect. Outside of cities and post-industrial communities, Labour has few seats in England. Here is a recent example of this hatred in action. On 8 May, a woman by the name of Rebecca Roache was so upset by the election result that she decided to purge from Facebook any friends who had ‘liked’ Tory-supporting content. Her reason? She believed that holding conservative views was as objectionable as being racist, sexist and homophobic. Not only did she think this was reasonable, she also believed it was right to post about it on the University of Oxford’s ‘Practical Ethics’ blog under the title ‘If you’re a Conservative, I’m not your friend’. The post went viral. Dr. Roache is Lecturer in Philosophy at Royal Holloway, University of London coming from the University of Oxford, where she was Research Fellow in the Faculty of Philosophy. This highly-educated and well-qualified woman does not believe she did anything wrong. Neither does her university. I fear for her students. When will this permission to hate be withdrawn by Labour? Will it decline over decades following a campaign of disapproval like that over drink-driving? Or will there be a tipping-point following an unpleasant event? Currently socialism in the UK can no longer be about the relief of widespread disadvantage. Labour was obliged to import a new working-class as its former supporters became more affluent and voted to defend their new wealth. Obesity has replaced malnutrition as a national issue. People die of diseases of over-consumption and indolence rather than deprivation and exhaustion. Life expectancy is perpetually rising. Socialism in Britain today is about hatred and unless Labour realises this, haters gonna hate. Previous articleKathy Gyngell: Hilton’s hypocrisy. How can this self-proclaimed defender of marriage cosy up to its nemesis Harman?